Your financial house is in order. You have an emergency fund, little or no debt and a 401(k) plan at work. If you still have a few extra bucks left over but aren't interested in the measly rates CDs pay these days, consider investing in stocks. Stocks can come with great risk, but they are the best way to build long-term wealth. Follow our 6 smart moves and you'll build a stock portfolio that can grow your money over time with the least possible risk. Smart move 1. Find a low-cost online broker. This isn't the 1980s. You don't need a human broker to get started in stocks anymore. You can buy and sell stocks, ETFs and mutual funds with an online broker like E*TRADE, Scottrade, Sharebuilder and Charles Schwab. Most brokers have no minimum and most commissions run $4 to $15 per trade. You won't need bells and whistles at this point, just find a broker with low commissions since those trading fees can eat into your money quickly. You'll also want to determine what kind of account you want. Your first option should be a Roth IRA. It will allow you to build your portfolio tax-free, but you'll be limited to $5,500 per year in contributions ($6,500 for those 50 and older). There also are income limits for Roth IRAs. You can make a full contribution if your adjusted gross income is $112,000 or less in 2013 ($114,000 in 2014). If you are married and file jointly, the income limit is $178,000 in 2013 and $181,000 in 2014. If that doesn't fit your needs, just open a regular brokerage account, and you're ready to go. Smart move 2. Start with an ETF or mutual fund. If you're just getting started, you might want to steer clear of individual stocks. Simply put, you're putting your money at risk if you don't know what you're doing. Choosing a balanced mutual fund or an exchange-traded fund is a good choice for beginners, says Kimberly Foss, founder and president of Empyrion Wealth Management in Roseville, Calif.
Foss recommends starting with a good general stock fund like the Vanguard 500 Index (VFINX). 10-year average returnExpense ratioPerformance as of Nov. 29, 2013. A fund like this spreads your risk because it invests in 500 of the largest U.S. companies. It offers you the benefits of stocks while taking the guesswork out of picking the winners. Foss recommends starting with 80% of your money in a fund, then using your other 20% to experiment with individual stocks. "It may be boring, but boring is good in investing," Foss says. "You'll want to have 80% of your money in a rock-solid, plain-vanilla fund that will give you slow and steady growth." Smart move 3. Make regular contributions. It's fine to start small. You can buy a couple of shares in a solid company or index ETF for as little as $100. But the only way to build and grow a portfolio is to make regular contributions. If you open an account now with $100 and put away $100 every month, you'll have more than $24,000 in contributions in 20 years. But the real joy of investing in the market comes with the opportunity to grow your money through capital gains and dividends. Often, you’ll earn both. If your holdings grow at an annual rate of 6%, in 20 years you’ll have more than $47,000. And if they grow at 8%, you’ll have almost $60,000. Little contributions can add up big if you make them regularly. Smart move 4. Create a diversified portfolio. It might be temping to dump all of your money into one hot stock, but if that company tanks, so too does your entire portfolio. Spreading your money around helps you limit the inevitable risks involved in investing and lets the winners make up for the losers. Consider buying stocks in four or five companies in several different industries. A portfolio might include stocks spread across sectors like utilities, consumer goods, health care, finance and manufacturing. The best way to achieve diversification is still through an ETF or mutual fund. But if you're going with individual stocks, be sure to spread your money. First of all, congratulate yourself. This is kind of a big deal. Just 3% of Americans maximize their tax-advantaged retirement savings. But there's no reason to stop saving just because you've done as much as the IRS or your employer say you can. But there's also no reason to starve now in order to feast later. Quiz yourself first. Smart move 5. Take a long-term view. Chasing hot companies and short-term killings based on tips from CNBC or online forums is just gambling. Most small investors who leap into a company because of rumors it’s a takeover target or about to receive federal approval for a new drug lose money on those deals. You'll want to build a portfolio around companies that offer steady growth and reliable dividends. You have to resist the temptation to buy and sell on impulse, gut feelings or daily news. Don't dump a stock simply because it lost 10% of its value in a day or had disappointing quarterly results. Foss says trying to "time the market" is one of the biggest mistakes a new investor can make. "Keep your emotions out of it; it will kill you," she says. "You have to think about where you're going to be in the next 5, 10, 15 or 20 years, not about what happens this week." While 2008 was a terrifying year for investors, those who held on rebounded. If you had bought shares in the Vanguard 500 Index Fund on Oct. 5, 2007, it would have been worth $143.53 per share. By Feb. 27, 2009, its value would have plummeted more than 50% to $67.99. Had you sold then, you would have lost half your money. But had you held your position, you would have fully recovered the value by April 2013. And by now you'd be up almost 14% from where you were in 2009. The point is that when you look at things over the course of a few months or even a few years, you're not seeing the big picture. Smart move 6. Follow the old-fashioned principles. There are an endless number of strategies for how to invest in the market. Until you really learn what you're doing, you might want to stick to some of the old-fashioned fundamentals. Dollar cost averaging: You invest a set amount in the market every month, whether the market is up or down. When it's down, your money will get you more shares; when it's up, you'll buy fewer. It prevents you from trying to time the market and minimizes the risk that you'll buy at the wrong time. "It gives you a higher probability of buying stocks at a discount and less of a chance of buying all at the peak," Foss says. Buy-and-hold: Buying stock, then holding onto it stocks for a very long time. Think about blue-chip stocks — solid companies that have been around for decades. These investments tend to be more stable and have less dramatic swings. 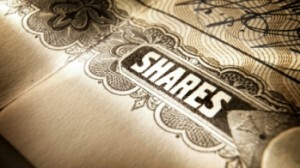 Going for dividends: Means you buy stock in companies that have a long history of paying or increasing their dividends. A number of solid stocks pay 2.5% to 5% dividends, double what you could earn in a top-paying CD these days. Dividends are typically paid quarterly and can be reinvested to buy more shares, which can dramatically increase your earnings over time. The best place to find companies that follow these principles are the 30 blue-chip stocks in the Dow Jones Industrial Average. These companies are generally leaders in their industries, have been around for decades and have strong balance sheets. Companies like Procter & Gamble, Coca-Cola and Exxon Mobil aren't going out of business anytime soon, and they have decades of consistent growth behind them. "You want to look for stocks that can weather through any environment," Foss says. "Companies like these may be boring, but they're performers — tried-and-true, high book value stocks."